Soft tissue mass below the right hilum grows into mediastinum. Multiple enlarged lymph nodes in the right hilum. 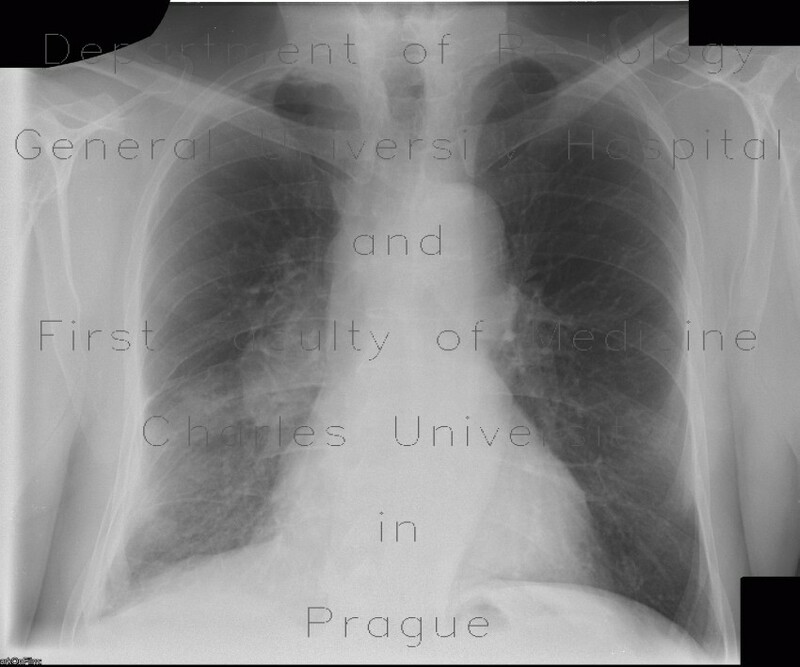 Development of enlargement of the right hilum can be appreciated on chest radiograph when compared with previous study.